A healthy relationship with food often takes a lot of hard work. Many of us spend our younger years worrying about what we’re putting in our bodies and what we see in the mirror, battling daily with the images we see pushed on us by the media – and now via our social channels. 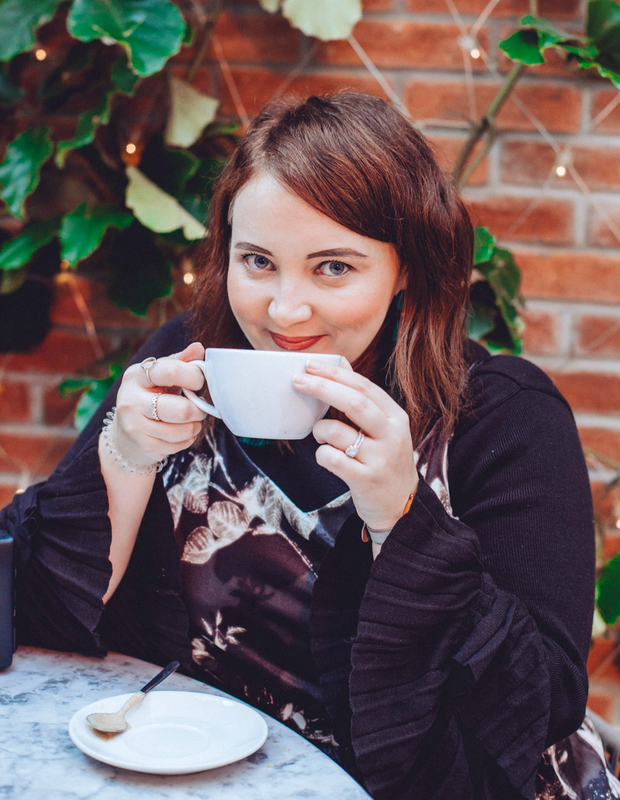 It’s hard to feel confident when the ability to compare has never been so rife, and the pressure to be conventionally beautiful has jumped off the pages of our favourite magazines and seemingly into every aspect of our online life. We still don’t see a full spectrum of bodies represented and we still don’t seem to widely accept that you can be beautiful if you’re over a size ten; we’ve become obsessed with ‘eating clean’ and going gluten free, in much the same way that we’ve become obsessed with avocado toast and green smoothies. As a woman, whatever choice you make it’s seems to be wrong. If you’re a gym bunny you’re vilified for leading a restricted and weight-obsessed life, but if you’re a sofa queen who loves crisps you’re vilified for being lazy and unhealthy; it’s exhausting and so incredibly counter productive. 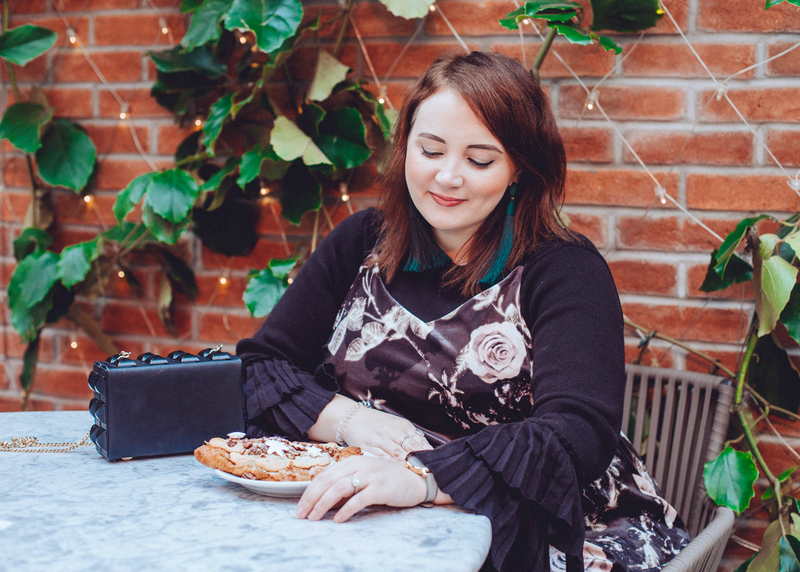 This time of year we’re surrounded by mince pies, prosecco, boxes of Quality Street and too many Pret festive sandwiches than we’d care to admit – the temptation to demolish it all is very real, but whatever choice you make is completely your own. We shouldn’t feel pressured to eat that third box of biscuits that’s been sent into the office that week, but equally we shouldn’t feel pressured to resist; the festive season is about enjoying yourself and spending time with your loved ones, rather than worrying about what is or isn’t passing through your lips. Right now you can’t step sideways without being told how many calories are in a Pumpkin Spiced Latte or how that glass of prosecco is going to rot your teeth, but the journalists writing those articles are out to cause a reaction – they want to shock and horrify, making their content shareable and ensuring as many comments as possible. I guarantee you they’re probably walking into the office every morning with a Toffee Nut Latte like the rest of us. Festive eating is accompanied by so much guilt, especially as we’re so preconditioned to backtrack come January and reinvent ourselves as a skinnier and happier version of what we were before. In my opinion we should just relax and enjoy the festivities, focusing on those moments of joy – whether they come from a visit to Winter Wonderland, watching Elf for the hundredth time, a turkey sandwich or three Terry’s chocolate oranges. Life is too short to be filled with so much anxiety, especially when it’s self-imposed. I once lived with a trainee doctor and she told me something about food consumption that I’ll never forget. She said that our bodies work by the law of averages, so having a slice of cake or binging on a chocolate bar or three isn’t going to make much difference; however, if you start doing that every day it will cling onto the calories and you’ll put on weight. The key is everything in moderation. Eating conciously and being aware of your choices (good and bad) is all you need to do, rather than feeling so incredibly bad for eating something that made you happy. Although we far too closely connect food and drink with treating ourselves and as some kind of reward (I’m so bad at this!) it should be seen something to be enjoyed in the moment without the added pressure of feeling guilty afterwards. 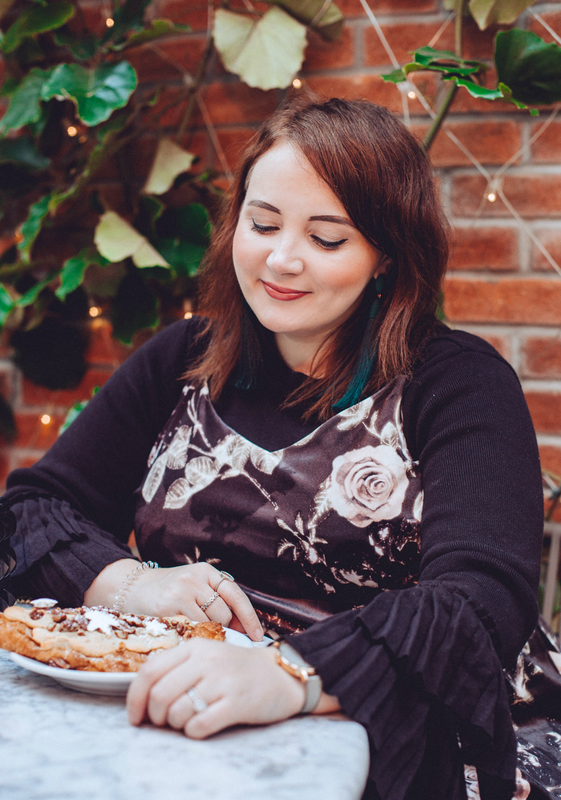 I’ll admit I’ve always had an unhealthy relationship with food – I’m a bit of an ‘all or nothing’ type girl, thanks to so many years restricting my diet and associating my size and appearance with my own self worth. During the festive season I just want to be happy and enjoy everything it has to offer, but that doesn’t mean I don’t completely understand those that want to maintain their healthy lifestyle and continue their hard work too. If you want to go to the gym on Christmas Day that’s totally cool, but if you want to skip it in favour of A Christmas Prince on Netflix and a box of festive cookies that’s cool too. You do you. We all need to stop worrying about what everyone else is or isn’t doing, what the ‘rules’ of eating are during the holiday festivities and feeling guilty for the choices we make. Next Post Are Christmas Gift Guides Over? Exactly Jane – enjoy the food you want and then if you need to reign it in a little after then that's what you gotta do! I don't believe we should be starving ourselves in the same way it's stupid to stuff ourselves silly; all in moderation and understanding the positives and negatives! That's really interesting Laura – and I totally get you. I don't have a very big stomach so I can't eat a lot in one sitting, and sometimes I feel judged for being wasteful or slow to eat, ha! It shouldn't be about stuffing ourselves stupid in the same way it's unhealthy to starve yourself; there's so much pressure around food in general and it gets worse at this time of year. Well said Hayley. As you say, it's so hard to separate body image from self worth, that's something I'll be working on in 2018. It's much more important to have a strong, healthy body whatever your size or shape. As I get older I value having a strong core, which means no back ache, over fitting into size 12 jeans. I'm still a work in progress though. I've always had a good relationship with food. Even if I use the term "treat", I don't see it as a treat (the way my dog does), but as a part of the whole experience. This means that I put on weight or lose it according to what else happens. In Winter I'm less active and I have a lot of celebrations (birthdays, anniversaries, besides Christmas, and NYE), so I put on a few pounds, in the summer I'm a few pounds lighter because I'm more active naturally. I know I should exercise more, but it's a busy time and I can't always do it. I also eat healthy because I love it, I have a smoothie every day, usually green, I have my 5+ fruit and veg portions daily (can get up to 10 without hassle). It's exciting food, diversified, and tastes amazing.The thing I hate is guilt associated with food, eat this "guilt free cupcake" that most likely doesn't taste as a cupcake anyway. One should never feel guilty of eating something, this is the thing that leads to frustration and binge eating. Nobody got fat after eating a mince pie, so moderation is key. I'm a new follower of yours, came over from Nikki at Midlife Chic! I say, "Yes!" to this post! Its so practical, and real.Happy Christmas to you! So true! I’m at Slimming World to help re-educate my mind and relationship with food but fully intend to enjoy Christmas guilt free! I won’t look back and remember the chocolates I piously said no to…. I’ve had a run of bad luck this year that turned itself around the end of November. I’m at my highest weight ever so I constantly think about what I’m putting into my mouth. I’ve decided to partake in all the festive goodies and do 95% better starting the new year off right. Enjoy that cup of coffee & merry Christmas!